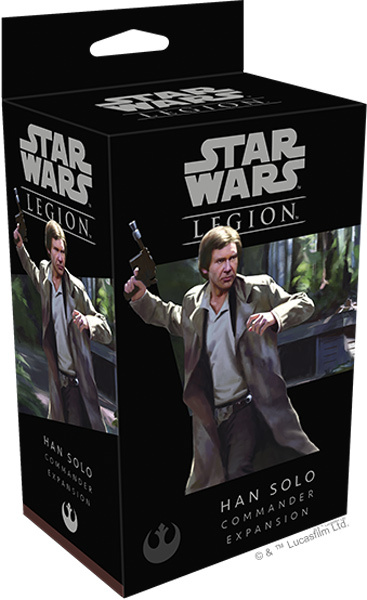 Within the Han Solo Commander Expansion, Rebel leaders will find everything they need to add Han Solo as a commander to their Star Wars: Legion armies. A single unpainted, easily assembled miniature features Han Solo with his DL-44 heavy blaster pistol drawn and ready to fire. 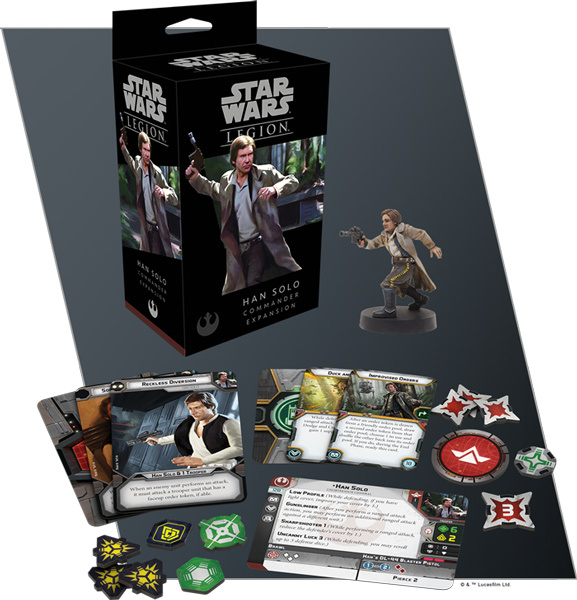 Three new upgrade cards give you the tools to outfit Han Solo or another unit for battle, and three command cards let you bring Han’s trademark daring and braggadocio to the field. Releasing alongside the Rebel Commandos Unit Expansion, these two expansions let you create your own battles on Endor or any other planet from the Star Wars galaxy.